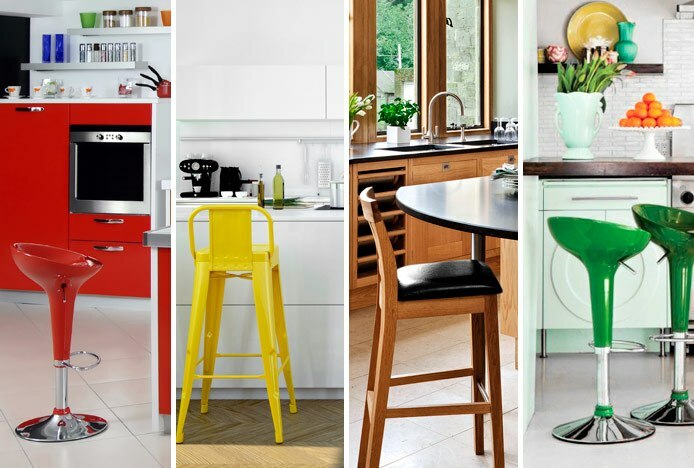 Our customers are often refurbishing their kitchen when buying bar stools from us, so we want to offer our guidance and advice to make the process as simple as possible. 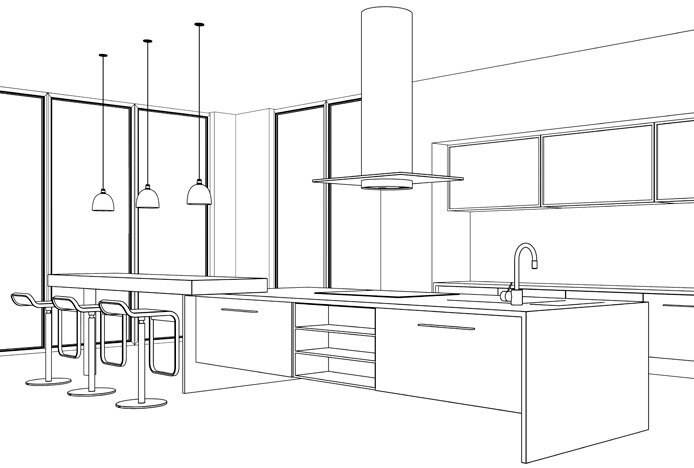 Here we have listed the most common and costly kitchen design errors and how to avoid them. Just remember, nothing ever goes completely to plan and something is bound to go wrong, but hopefully this article will help keep mistakes to a minimum. 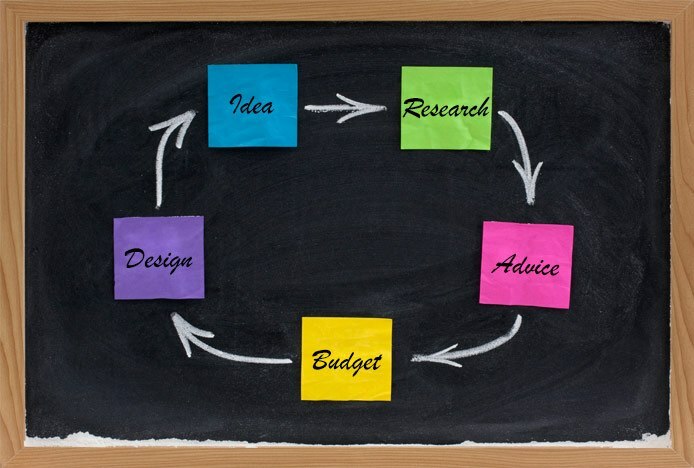 Decide on a budget before you start the project and stick to it, unexpected expenses may still occur so try to plan for this in advance. Remember, if you hire designers or tradesmen, don’t pay in full until the work is finalised to ensure everything is complete and meets your requirements. Remodelling and decorating without help is something many people believe will save them money, but seeking assistance from experts can prevent costly mistakes that occur when you go it alone. 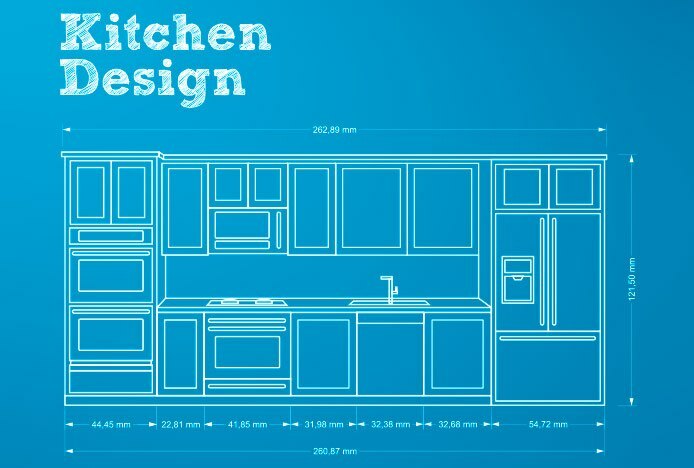 A kitchen designer will suggest things you hadn’t even thought of and can recommend trusted tradesmen. You can also buy appliances through them that are guaranteed to fit your space, and you may even get a better deal with many offering competitive prices. To make the transition smoother, before you start tearing out your old kitchen, you will need to set up a temporary one so you still have a place to make food. This can be as simple as moving a microwave and a kettle into another room, such as the utility room. 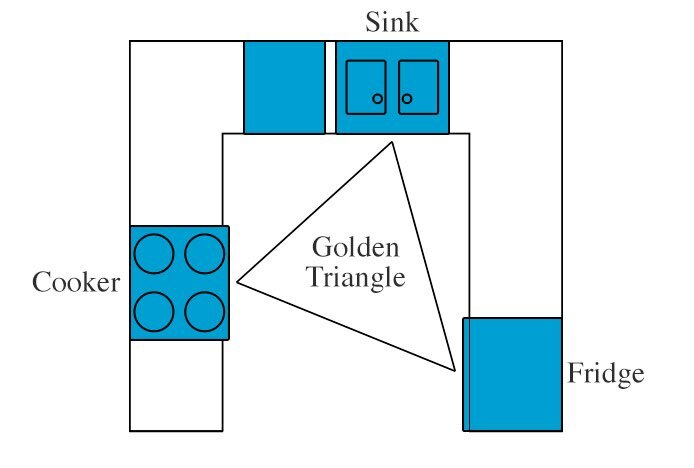 Be sure to consider the golden triangle when deciding on your kitchen layout. This principle suggests that grouping the three most used areas in close proximity is the most successful kitchen design. These areas are usually the cooker, sink, and fridge, but you may prioritise different appliances so think about what you use most when preparing food. Similarly, make cleaning up after meals a quick and efficient process by keeping the sink and dishwasher together. Your cabinets are the foundation of your kitchen, and when it comes to the quality of them, you certainly get what you pay for. It’s worth spending the extra money on durable and long-lasting materials, rather than going for the cheapest deal and regretting it a year later when things fall apart. Before investing in expensive materials for your kitchen, consider their practicality in your home. For example, delicate surfaces like marble can stain easily so may not be the best choice for a family with young children. 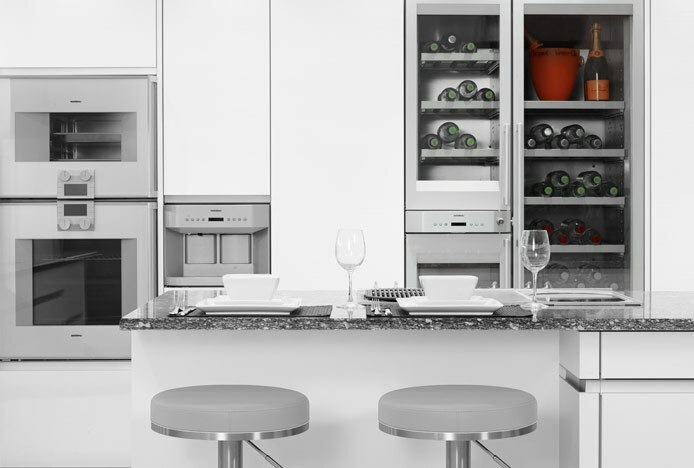 Your appliances, cupboards and drawers should be designed and positioned in a way that allows them all to be open at the same time. Any collisions can cause damage to doors and are a hassle when cooking. If you opt to include a breakfast bar, keep the height at 90cm. This is standard worktop height, making it easier to find suitable bar stools to tuck underneath, like our selection of kitchen stools. That said, you should make sure the height of your work surfaces are suitable for you and your height. Bare in mind that some of your counter space will be occupied by the likes of microwaves, toasters, and coffee machines. So whilst it might look like you have plenty of space for food prep to begin with, this will be reduced once you furnish the kitchen. 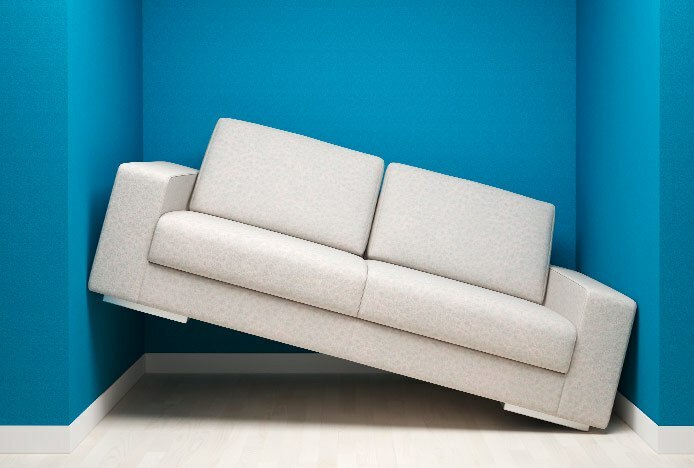 There’s nothing worse than picking out the perfect furniture for your interior and bringing it home to realise it doesn’t fit, so make sure you have all the measurements of your room before making a purchase. 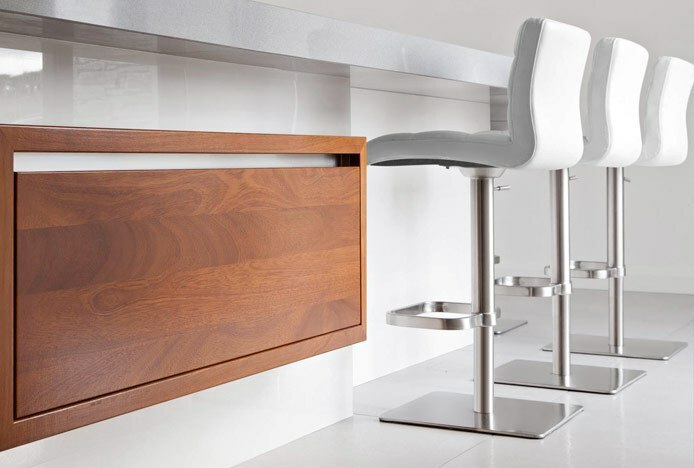 To ensure your bar stools will fit when buying from us, we have a handy bar stool width calculator in our Bar Stool Buying Guide, which will work out the maximum stool width suitable for your breakfast bar. One of the most common problems in the kitchen is not having enough cupboard space, which then leads to cluttered counters, so make sure you have plenty. Open storage is a popular trend at the moment, but before you jump in and replace all your cabinets with open shelving, think about how many items you have that are suitable for display - and how much you want to dust! If you are completely remodelling your kitchen, be careful when deciding on the placement of the sink or dishwasher, as the plumbing for these can be difficult to change. Other appliances have specific requirements too, for example, if you plan on buying a fridge with an ice machine, it will need access to water. 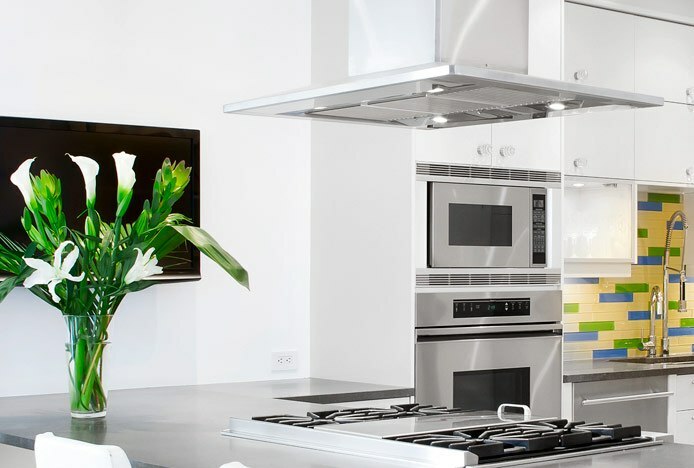 Many people get carried away with the idea of having an ultramodern kitchen and end up with a cold and utilitarian appearance because they include an excessive amount of stainless steel appliances. Not only does the space become uninviting, brushed steel is susceptible to fingerprints, which can be a pain to clean. Instead, try an integrated fridge or dishwasher and keep them behind cabinet doors. Rubbish and recycling is often a last minute thought after the kitchen is finished. But don’t end up with an ugly plastic bag or bin in the corner of the room, you can avoid this by including a built-in or integrated bin in your cabinet design. With all the electrical gadgets now used in the kitchen, you need plenty of places to plug them in and use more than one at a time. Hide outlets below your kitchen island worktop so you don’t ruin the style of the room. Ventilation is necessary to rid the kitchen of lingering food odours. Think about the placement of your extractor fan in relation to the joists of the house and the outside walls, where is most feasible and efficient. Although it may seem like more of a hassle, it’s worth noting that ducted ventilation is much more effective than an extractor with a charcoal filter. Something easily forgotten in a kitchen layout is heating and where to place radiators. If your space is particularly large or you think a radiator will ruin the flow of the room, consider having heating installed in your kickboards or floors. It is important to have a variety of lighting in your kitchen for both atmosphere and task lighting. However, the colour temperature of your lights should be uniform throughout the room. 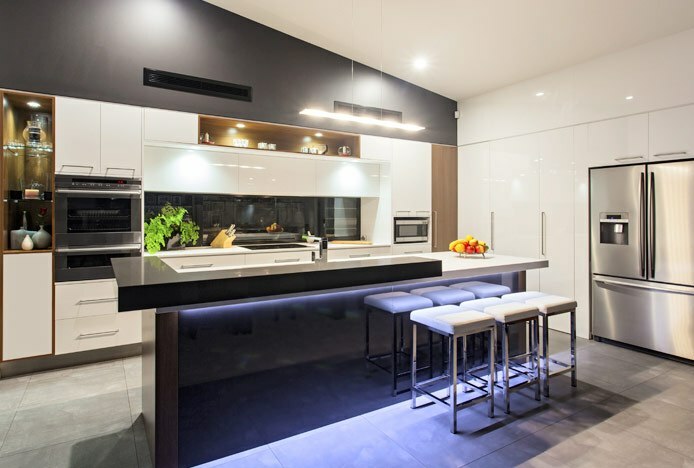 Cool light is often used for bright spaces like the kitchen whilst warm light is used to create a relaxed ambiance in the lounge or dining room. You can find out more about the colour temperature of light in our blog post How Light Affects Colour. You should always get samples of the materials you plan to use, whether this is paint for the walls or granite for the counters. Take testers of paint home and see how they look under different lighting, and don’t forget to view them in daylight and at night before painting an entire wall. When choosing themes and colour schemes it’s easy to become overwhelmed by the possibilities and pick the safest option, but the end result can look bland and boring. On the other hand, it’s understandable that you want your home to leave a lasting impression on guests, but avoid one-off trends. They will soon become out-dated and bright orange cabinets certainly won’t help to sell your home in the future. Consult an interior designer if you’re struggling to pick a style for your kitchen. Many of the points we have mentioned may seem obvious, but you can soon get caught up in a project and forget the simple stuff when you want the job done quickly. Just be sure not to make quick and rash decisions without measuring everything twice and thinking things through. What Is a Breakfast Bar? 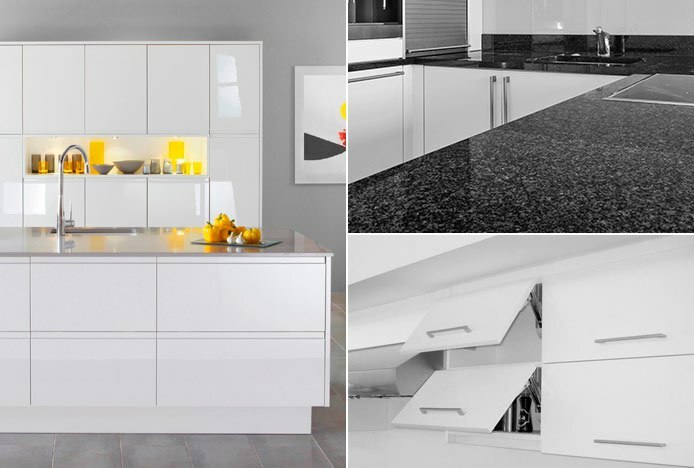 A must-have feature in the modern kitchen, learn more about the breakfast bar..
Our tips and advice on choosing the ideal overhang for your bar or kitchen counter..